Cranberry Township encompasses an area just over 23 square miles in size, and is home to a population of more than 28,000 citizens. As the fastest growing suburb of Pittsburgh, the community is situated at the intersection of two major interstate highways, Interstate 79, and the Pennsylvania Turnpike, making it an ideal home for workers making the 30-minute commute in and out of the metropolitan area of Pittsburgh. For a community bearing a large population, and nestled at the juncture of two major highways, traffic management is a primary concern, both for residents, and for the community’s civic leadership. For Kelly Maurer, P.E., Project Coordinator for the Engineering & Environment Services department in Cranberry Township, one aspect of her job is to keep traffic moving. One way to do this is by keeping citizens informed about potential hazards, delays, and roadblocks to allow commuters to travel the main highways as swiftly and reliably as possible. When a traffic incident does occur, Maurer is able to coordinate with emergency personnel and communicate to citizens heading into the area about the incident so that they can make alternate travel plans, avoiding the area, and helping to mitigate the number of commuters adding to the congestion. This is a key piece of incident management where the citizens become stakeholders in the process and reduce the impact of the crash. Cranberry Township operates its own Traffic Management Center and participates in a I-79/I-76 Local TIM (Traffic Incident Management Team) in Southwestern Pennsylvania. For Maurer, who keeps tempo of the Township’s traffic flow, issues don’t just happen Monday through Friday from 9 to 5. They can happen anytime, or any day of the week, which is why access to a reliable and immediate citizen communication system is critical to the Township’s obligation to inform. The Alert Center Module from CivicEngage. Cranberry Township has successfully been utilizing the Alert Center module, built-in to its CivicEngage website, for approximately one year to notify citizens via multiple channels about a wide variety of potentially disruptive issues. The Township currently has 2230 traffic alert subscribers, a number that continues to grow. The Alert Center allows local government administrators to post important information in a highly visible position on their CivicEngage website, and send detailed, immediate, relevant information from a single interface. Through its integration with the Notify Me® communication subscription module, Alert Center also allows administrators to send a single message to citizen subscribers using multiple channels, including emails and text messages, to maximize reach and ensure important information is easily accessible by as many citizens as possible. Before Cranberry Township had access to the desktop version of the Alert Center, it had no way to issue mass alert notifications to citizens regarding traffic issues. Since its implementation, the desktop version of the Alert Center module has been valuable for Maurer as part of the comprehensive traffic management strategy. Since implementing the desktop version of Alert Center in this traffic-heavy community, Maurer routinely issues alerts at least once per week to notify citizens of highway incidents, planned or unplanned construction projects, and accidents. 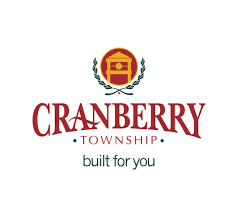 To further amplify the reach of its messages, Cranberry Township issues alerts to the Pennsylvania Department of Transportation (PENNDOT) without needing to take any extra steps, or issue separate communications or messages. The only limitation Maurer had experienced, was issuing alerts when away from a computer. Before implementing the CivicEngage MobileAdmin app, which offers access to the Alert Center module from a smart phone or tablet, after hours and on weekends Maurer would issue the alerts from her home, which meant bringing her laptop home with her. If she was in a place where she was not near a computer, she’d have to text a co-worker back at the office to ask that they issue the alert on her behalf, losing critical minutes in the process. Cranberry Township recently implemented the CivicEngage MobileAdmin app to benefit a variety of its administrators, allowing them to access such key module features, as the calendar, News Flash, and Alert Center. After only a week post launch, Maurer found herself in a situation in which she needed remote access to the Alert Center module to issue a time-sensitive traffic alert, and was successfully able to use the Alert Center from her mobile device when out of the office. The “read on” link took citizens to the Cranberry local government website Alert Center page for more details regarding the issue. According to Maurer, she was able to create and disseminate the alert in just a few, simple steps. Thanks to Maurer and her alert, many citizens were notified about the incident before they began their commutes, and were able to seek alternate routes, which helped Maurer accomplish her goal of providing information that would allow commuters to avoid the problem area so that emergency responders could more easily manage the incident. Maurer is not the only member of the Cranberry Township administration using the CivicEngage module to work more efficiently when away from her desk. The Manager of Traffic Operations at the TOC, the Public Works Director, Police and Public Safety Director, and the Communications Team are also able to post alerts. The township’s Communications Team uses the Calendar to publish meetings, and uses the Alert Center to issue non-traffic-related communications. The community’s preschool uses the app to send messages related to weather delays, and even the township’s golf course uses it to send promotional messages. Maurer anticipates that the Alert Center in both its desktop and mobile formats will continue to be an essential component of Cranberry Township’s multi-department communication strategy, and is grateful for the continued partnership between Cranberry Township and CivicPlus.